"Well, go on… impress me." Magnolia Pictures has debuted an official trailer for a fun documentary titled School Life, formerly known as In Loco Parentis when it premiered at film festivals last year/this year. From filmmakers Neasa Ní Chianáin & David Rane, the documentary profiles two inspirational teachers at Headfort, the only primary-age boarding school in Ireland. "Long careers are drawing to a close for John and Amanda, who teach Latin, English, and guitar at a stately home-turned-school, where they are legends with a mantra: 'Reading. 'Rithmetic. Rock 'n' roll!' But leaving is the hardest lesson." I haven't seen this yet, but it seems like I need to catch it when it opens. This looks seriously charming and inspirational, indeed a "heartwarming look at youth" and the fearless teachers who help shape them into good people. Have a look. This observational documentary follows a year in the lives of two inspirational teachers at Headfort, the only primary-age boarding school in Ireland. Housed in an 18th century estate, school life embraces tradition and modernity. For John, rock music is just another subject alongside Maths, Scripture and Latin, taught in a collaborative and often hilarious fashion. For his wife Amanda, the key to connecting with children is the book, and she uses all means to snare the young minds. For nearly half a century these two have shaped thousands of minds, but now the unthinkable looms: what would retirement mean? What will keep them young if they leave? School Life, formerly In Loco Parentis, is co-directed by filmmakers Neasa Ní Chianáin & David Rane. This premiered at the IDFA last year and Sundance Film Festival this year. 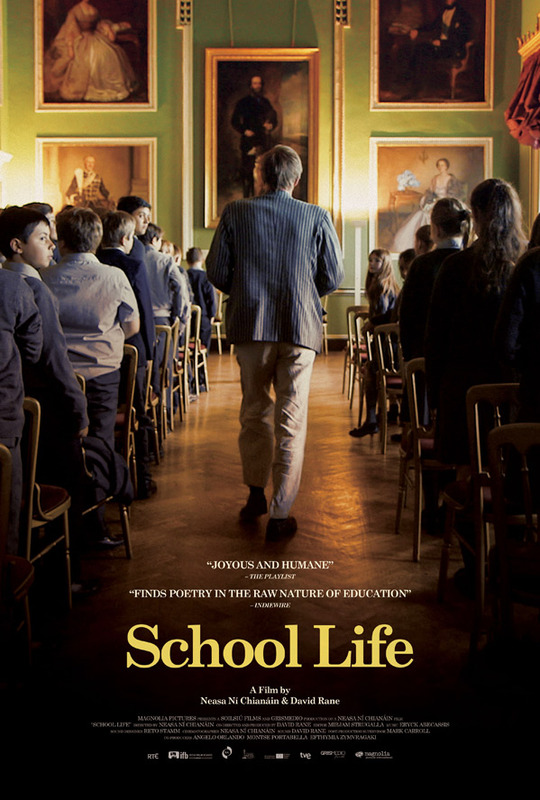 Magnolia Pictures will release School Life in theaters starting on September 8th this fall. Thoughts?